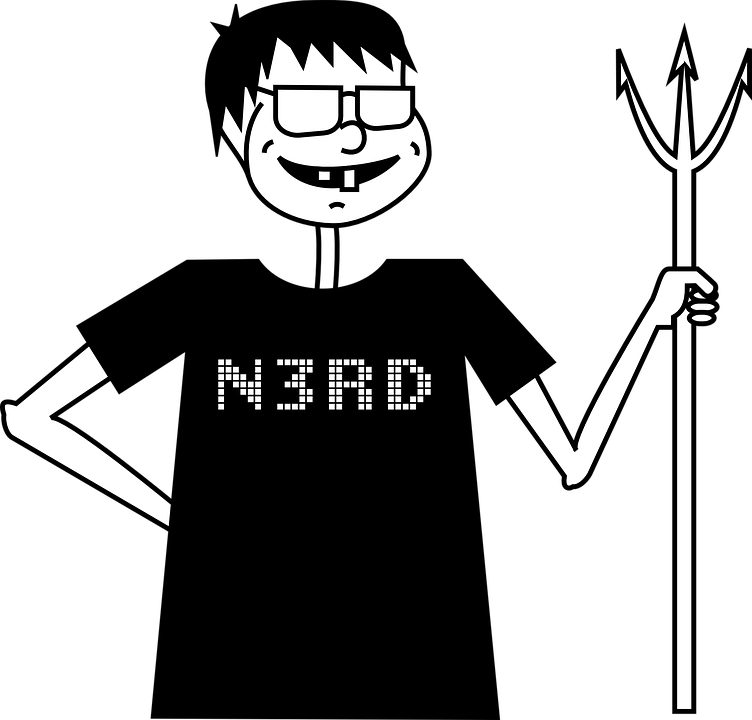 Many people confuse the two terms Archetype and Stereotype as they look and sound similar. However, there is a distinct difference between archetype and stereotype. 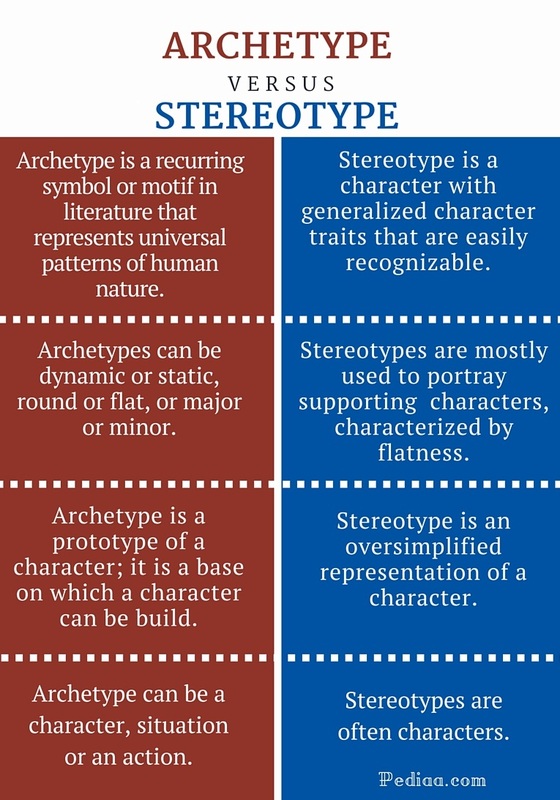 An Archetype can be a character, a theme, a symbol or even a situation whereas a stereotype (in fiction) usually refers to a character with generalized character traits. This is the main difference between archetype and stereotype. Archetype is a constantly recurring symbol or motif in literature that represents universal patterns of human nature. The word archetype also means the original pattern from which copies are made. 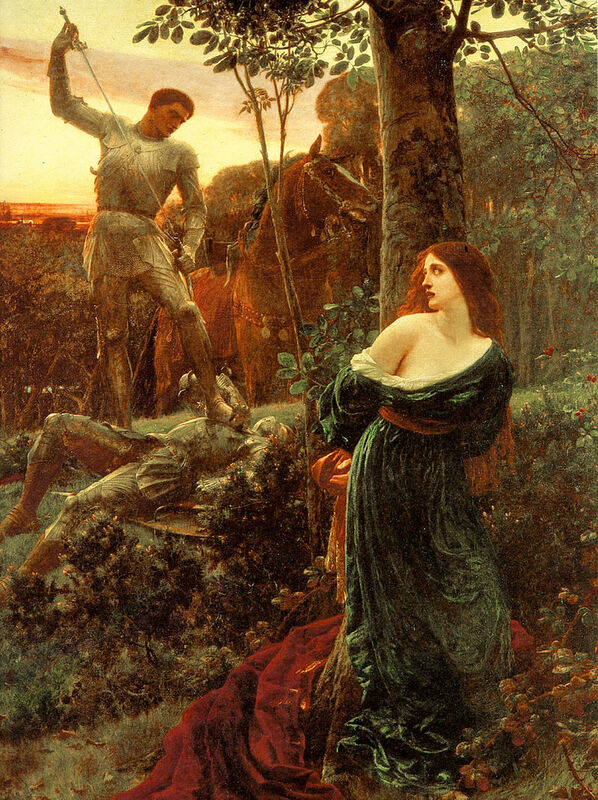 In literature, the archetype can be a character, an action or a situation that represent common human nature. Archetypes, which represent individual human cultures as well as the entire human race, shape the structure of a literary work. Archetypes help the readers to relate and identify the characters and situations in a book. It is also the writer’s way of imparting realism. Villain: Voldemort, Professor Moriarty, Captain Hook, Sauron, Shere Khan, etc. Hero: Beowulf, Harry Potter, Frodo, Superman, Hercules, Achilles, Sherlock Holmes, etc. If you look at each of these heroes, you’ll note that although they have different characteristics and qualities, and belong to different ages, cultures and time periods, they are also the same; they all predominantly exhibit goodness and fight against the evil. We also find other archetype characters in literature such as the mother figure, mentor, doppelganger, mentor, healer, rebel, etc. Archetypes situations or actions include journeys (physical or emotional journey comprehend his or her personality and the nature of the world), good vs evil, quests, fall, etc. A stereotype is a character with generalized character traits. Stereotypes may seem like an oversimplified representation of a type, gender, religious group, class, or occupation. In literature, the minor characters of a novel are often portrayed as stereotypical characters; they are often flat characters who do not go through a considerable growth or transformation in the course of the narrative. Stereotypical characters have recognizable character traits. For example, if we say, mother, a certain image is formed in our mind; we imagine a kind, warm, loving, nurturing woman. But these qualities are not found in every mother; a mother can also be cruel, cold and selfish as well. For examples from literature, let’s look at the character of a stepmother in fiction. In fiction, stepmothers are often portrayed as cruel and wicked; for example, look at the character of step mother in stories like Cinderella, Snow White, and Hansel and Gretel. This can be indicated as an example of stereotypical character. Archetype is a recurring symbol or motif in literature that represents universal patterns of human nature. Stereotype is a character with generalized character traits. Archetypes can be dynamic or static, round or flat, or major or minor. Stereotypes are mostly used to portray supporting characters, characterized by flatness. Archetype is a prototype of a character; it is a base on which a character can be build. Stereotype is an oversimplified representation of a character. Archetype can be a character, situation or an action.